He didn’t just lie about Russia—he’s put the Trump administration on the wrong side of every major issue. Attorney General Jeff Sessions is rightfully in hot water for lying to Congress about his contacts with Russian officials during the presidential campaign. This underscores the need for a special prosecutor to independently investigate alleged Russian interference in the 2016 elections as well as possible ties between the Trump campaign and the Kremlin. But the problem with Sessions goes well beyond Russia. He’s put the Trump administration on the wrong side of every major issue when it comes to civil rights, the Constitution, and the rule of law. Before Sessions was even confirmed, he “lobbied for a ‘shock-and-awe’ period of executive action,” according to The Washington Post, which included the Trump administration’s disastrous Muslim ban. In less than a month on the job, he’s reversed the Obama administration’s positions on voter-ID laws, private prisons, transgender rights, police abuse, and marijuana legalization. On Tuesday, he had the gall to give a speech on Black History Month at the Department of Justice, where he praised the Voting Rights Act on the same day the Justice Department argued in federal court that Texas’s voter-ID law did not intentionally discriminate against black and Latino voters. This is not the first time Sessions has lied to Congress. In his Senate questionnaire for attorney general, he claimed he “personally” handled important civil-rights cases while US Attorney in Alabama, even though lawyers in the Justice Department’s Civil Rights Division said he did no work on the cases beyond putting his name on the briefs. He never should have been confirmed as attorney general. Sessions was blocked as a federal judge in 1986 for a history of discriminatory actions and views—including wrongfully prosecuting civil-rights workers for voter fraud—and there’s no evidence Sessions has changed since then. In a must-read story for The New York Times Magazine, Emily Bazelon writes about how the Trump administration plans to use Sessions’s Justice Department “advance its nationalist plans”—which includes suppressing votes, terrorizing immigrant communities, ignoring police misconduct, and launching a new war on drugs. For the good of the country, Sessions should resign or be removed as attorney general before he does any more damage. UPDATE: This afternoon Sessions said he would recuse himself from the Russia investigation. That is not enough. A special prosecutor must be appointed to oversee the investigation. 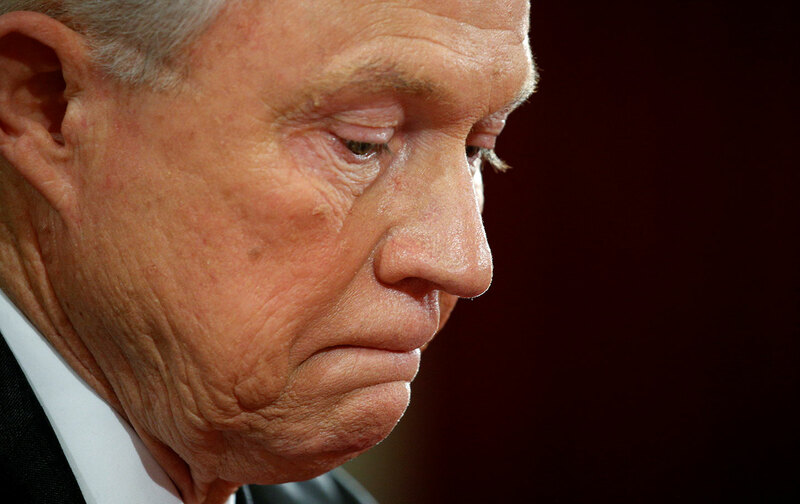 Moreover, given that Sessions lied under oath to Congress about his meetings with the Russian ambassador and has been the architect of the most disastrous administration policies, he is no longer fit to serve as attorney general.